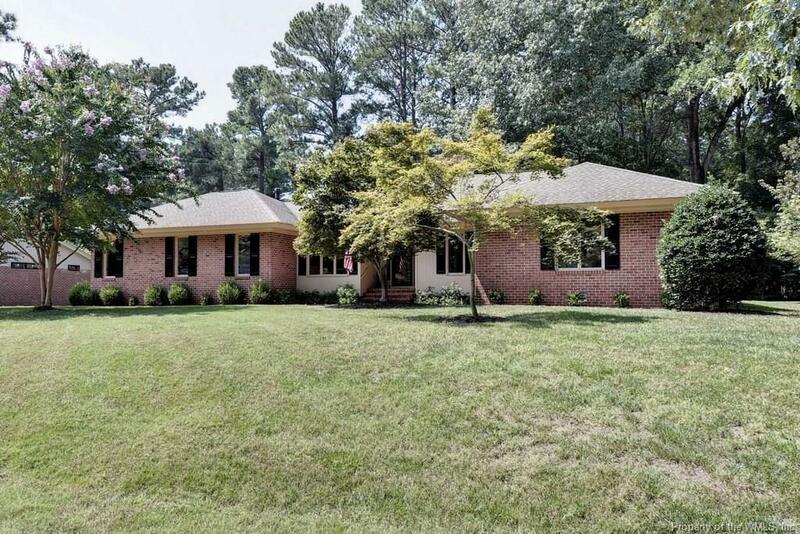 This cozy 2771 sq ft ranch, NOW PRICED BELOW ASSESSMENT, sits on a lovely lot on the 11th tee box of the Kingsmill Plantation Course. Fun floor plan for entertaining. 3 bed, 2 bath home, with hardwood floors thru out. Large family room with plenty of natural light. Family room, den, screened porch and deck all have lovely views of the golf course. Large kitchen with an island, granite counter tops and refinished cabinets. Bonus room over the garage has a wall unit for additional heat and air. Sunny laundry room with cabinets, counter and sink.